Konami have delivered brand new details of Pro Evolution Soccer 2014. Releasing the content just minutes ago, the PES Team have published the game's official press release and three brand new in-game screenshots. 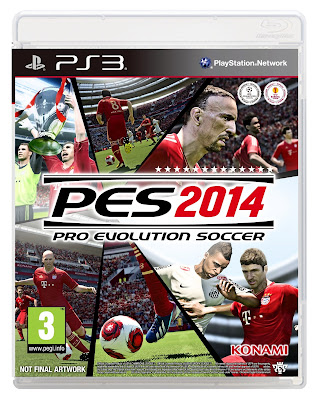 PES 2014 will be released in 2013 on PlayStation 3, Xbox 360, Windows PC and PlayStation Portable. New engine is for current-gen platforms "which will continue to be dominant in the market, but is fully scalable for future versions." Improved graphics and seamless animation. Konami say, "gone are the limitations imposed by dated animations systems and AI elements". Every element of play has been reworked to "create a fresh and energetic new standard for football titles". 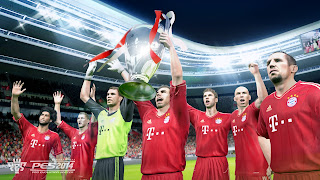 The PES series retain exclusive UEFA Champions League license. Konami confirm other tournaments will be announced shortly. New M.A.S.S collision system implemented, more tackling styles, and improved animations, player movements, kit details, facial expressions and stadiums. PES ID determines different playing styles for different teams. Twice as many players now benefit from Player ID. Kei Masuda: All materials we're releasing are taken from current-gen platforms and are fully in-game. PES 2014 is at about 70% completion. Teams are affected by matchday crowds and individual player performances. Improved flow of matches with "no more cut scenes after specific events". Stadiums will be faithful to real-life. Entrances to pitches recreated and moving crowds during matches. Free kicks and penalties have been "radically changed". Decoy runs added, as well as unrestricted short passes. Goalkeepers can now move along their line before the penalty kick has been taken. "All-new online elements" to be revealed soon. Click here for the game's full press release. TrueBall Tech: For the first time in a football simulation, PES 2014 will centre everything on the ball: how it moves, and how players use it. Physics of the ball, stature of the player, speed and height of the pass,… everything will be taken into account to recreate the most realistic football experience on a home system. Motion Animation Stability System (M.A.S.S. 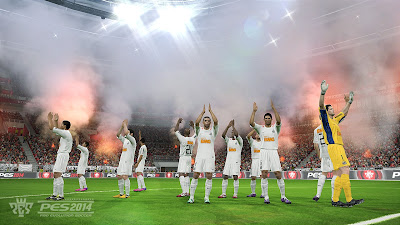 ): The players will also be an important part of the game with M.A.S.S. that will increase the realism of physical contacts between players, tackles and decisions taken on the pitch by the AI to have more open games while playing PES. Heart: Football is all about emotions and the support of the fans will now have an influence on the performance of the team, cheering and acting as the “twelfth man”. On the pitch, the performance of an individual player, good or bad, will also have an effect on the team, giving them a moral boost if he has a moment of individual brilliance; or forcing his teammates to support him if he is not doing well. 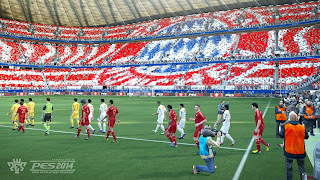 PES ID: Introduced in PES 2013, the Player ID system recreated faithfully the movements and skills of about 50 star players. In PES 2014, that number will increase greatly and will also apply to complete squads to replicate a team’s playing style. Team Play: With the new Combination Plan, our users will be able set up a variety of different tactics in key areas of the pitch using three or more players. These players will make very different runs to exploit holes in the defence or midfield, using the flanks, curved runs, or overlapping play to make themselves available. The Core: One of the biggest changes will be visual thanks to the new engine. 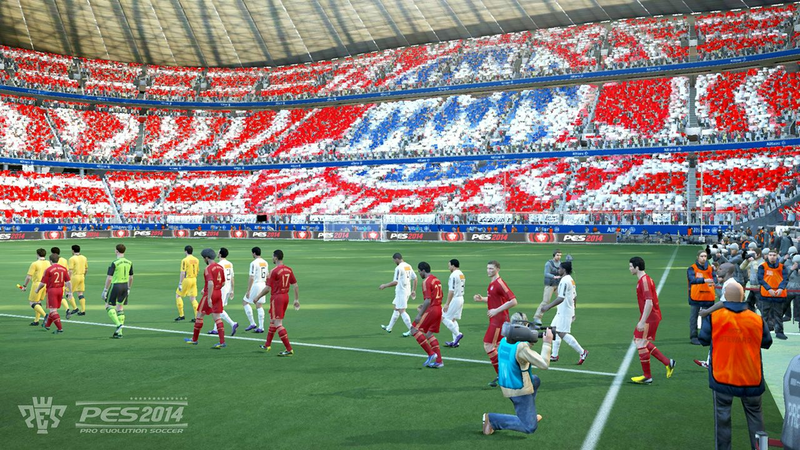 Movements of the players, details of the kits, facial expression, stadiums,… everything will imitate reality. The flow of the match will also be improved with no more cut scenes after specific events. Finally, our fans will see changes concerning free kicks and penalties with more reaction from the defence and a more natural feeling.